Recyclers are gearing up for Chancellor Gordon Brown's final pre-election Budget tomorrow. With the nation expected to go to the polls in May, it is thought Brown will try to woo voters with his annual speech. Many in the recycling industry will be hoping for something to make up for last year's heavily criticised Budget. Environmental Services Association chief executive Dirk Hazell wants the Chancellor to help the UK focus on Landfill Directive targets. 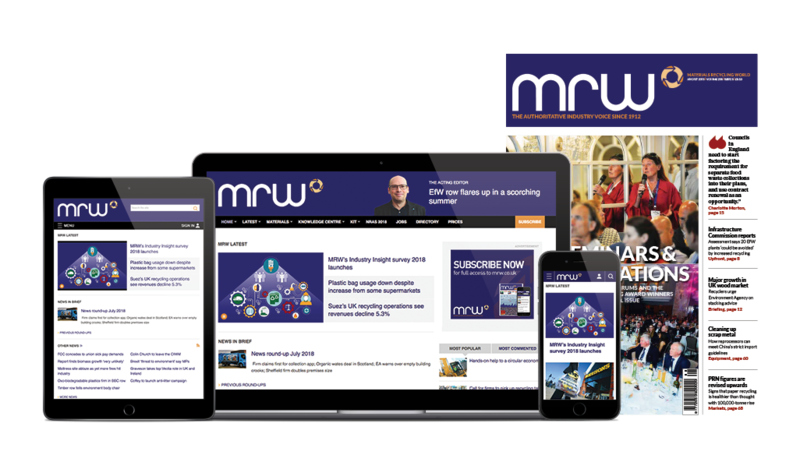 "From our point of view, the Budget needs to be part of a clear roadmap leading to the UK's compliance with the 2010 targets to divert biodegradable municipal waste from landfill," he told MRW . "That is the primary perspective through which we will look at the Budget." The only significant announcement in Brown's 2004 Budget was that Landfill Tax would rise by £1 on April 1, 2004 - as set out in 1999. Hazell said last year: "The clock is ticking on this Government's promises to the EU on sustainable waste management, but this budget takes Britain no further forward, and therefore deprives Britain of future jobs and infrastructure." Shadow environment secretary Norman Baker last year insisted that Budget 2004 proved that Brown did not understand the environment. Baker said: "Once again, Brown has demonstrated that Labour just doesn't get the environment. This budget picks at the edge, but fails to do anything for the long-term environment. "We are still using up our environmental capital faster than ever before. There are no proper incentives to minimise waste, encourage reuse or rule out new incinerators. We need a new approach to taxation, by introducing an environmental mechanism that makes the polluter pay."